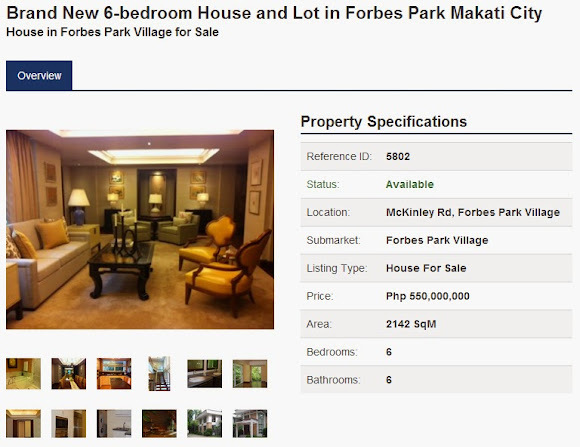 Forbes Park is a gated community in Makati City, which is divided into Forbes Park North and Forbes Park South by McKinley Road. It is one of the first villages developed by Ayala Corporation and home to the Manila Golf and Country Club, and the Manila Polo Club. It is a well-known elitist subdivision for the wealthiest of the wealthy in the country. 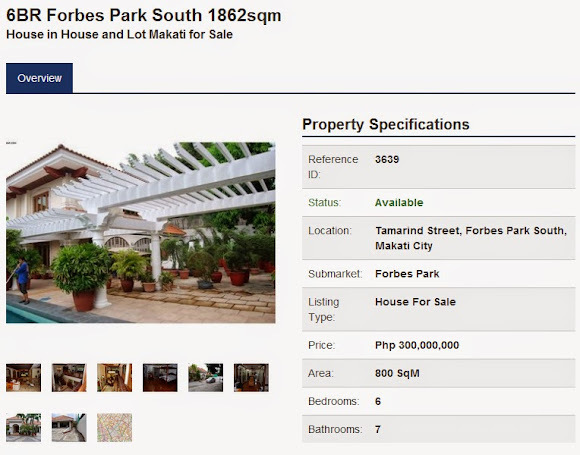 Here's a listing in KMC Mag of a Forbes Park 6 bedroom house and lot, which is tagged as "8-year old Mediterranean-style home is the lowest priced property currently available in the posh Forbes Park South." 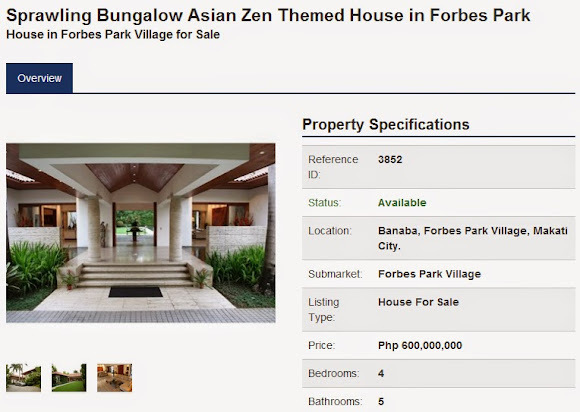 Its price is Php 300,000,000. 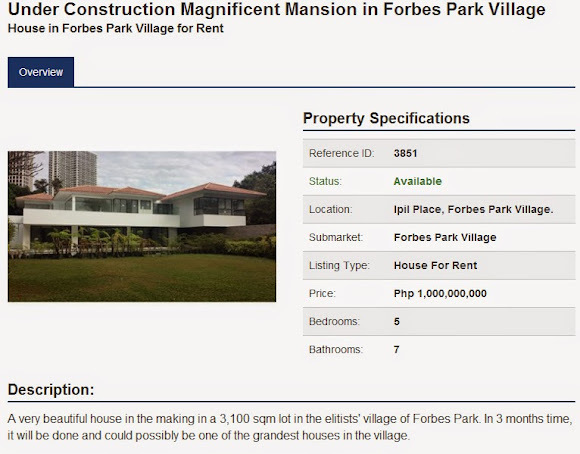 Other Forbes Park properties listed in KMC Mag include an under construction 5 bedroom mansion, 3100 sqm, for a stupendous price of One Billion Pesos! (approx. 22 Million USD).